Our software and app are ready for campus. Stay on top of trends at your education facilities. We help you track and manage quality with smarter tools. Use our analytics to find hot spots on campus in need of improvement, or to identify trends, such as how a change in budget has affected your quality. 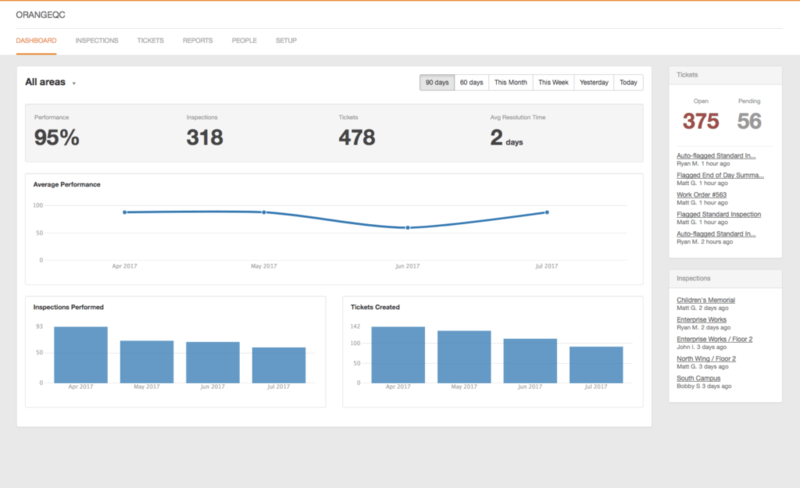 OrangeQC gives you the data you need to manage your teams and communicate with other departments and administration. Our simple ticket and work order system organizes all the tasks your team needs to get done. Tickets can be assigned, commented on, and updated so everyone knows the status of an issue and who’s responsible for what. They’re accessible via the web, mobile app, and email. That means everyone can communicate in the way that works for them, from anywhere on campus. 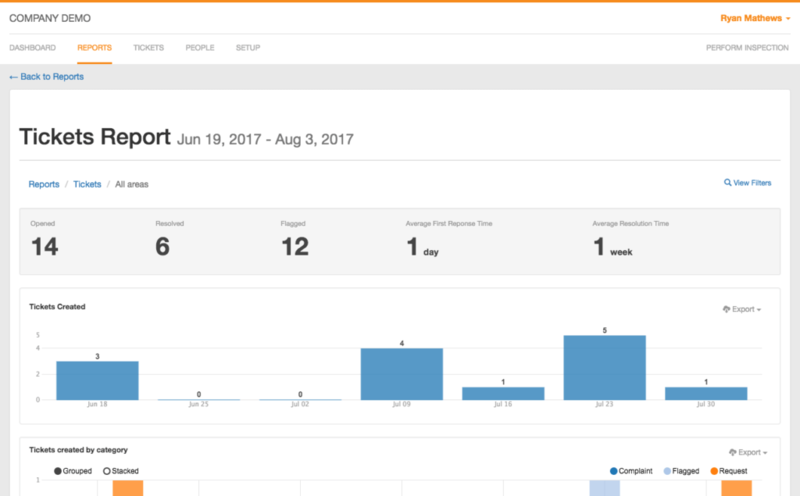 OrangeQC’s tools let you show your team members exactly where they need to improve. Show inspection photos of things done wrong, or point out trends in how the site is doing over time. You’ll also know exactly who needs another round of training—and who really deserves that bonus. Get smarter insights from our janitorial app. 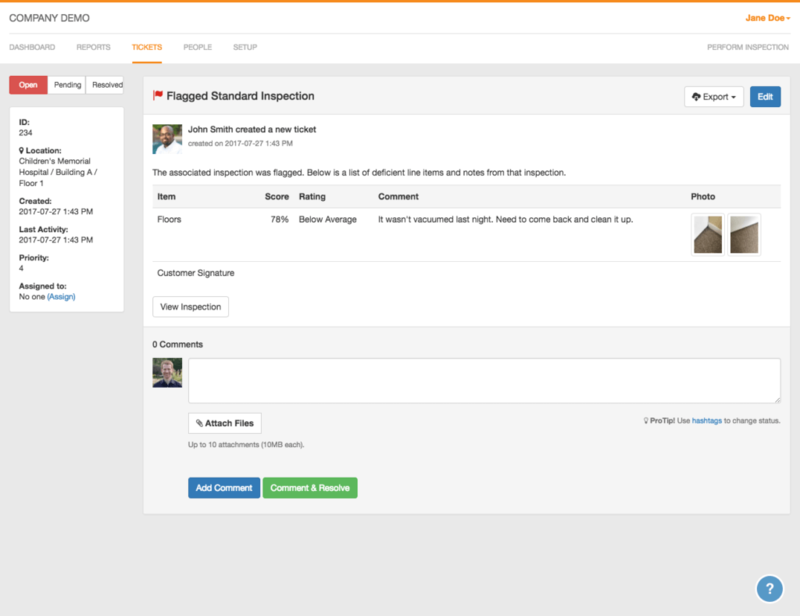 After inspections, we do all the hard work for you: pulling out trends in inspections, organizing work orders and corrective actions, and analyzing your data to create custom reports. Learn more about how our features work for you. Give your teams tools they can really use. As a unit, we are constantly amazed by the power and simplicity of OrangeQC... OrangeQC really has become an incredible tool and resource for us and we’re probably not even using half of what we know it can do, much less what we don’t know. Our friends in the facilities management department will routinely tell us that our space is some of the best managed space on campus because of the awareness that we're able to provide them, and the knowledge that they'll be receiving feedback on a daily basis. It really helps them prioritize work, identify trends, improve training, and adjust staffing. When the old software they used was discontinued, Dave started looking for a solution that would be easy enough for his team of students to use. He wanted something that would let them perform inspections and fix problems across campus—and communicate the results in real time.